The Jotul F3 is a wood burner - the wood burns on a bed of ashes without an ash pan and grate. This stove is available with a clear glass window or a lattice door. You can have the Jotul F3 in enamel finishes. there is a clean burn & a standard model. excellent highly recommend but today the door won't open, any clue how to get in to it? 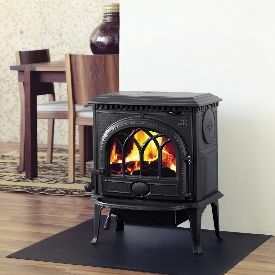 Stove expert replied: 4.1 Replacing the Air Chamber Remove the door to avoid any damages to the glass or enamel. Disconnect the top plate of Jøtul F 3. This is connected to the side plates with 2 collar head screws - one on each side. See fig. 3. Remove these with the Allen key which are supplied with the stove. In the case of side/rear connection, the following should be done: Unscrew the heat shield (fig. 4B). It will then be possible to use a screw driver to keep in place the screw which is situated there. 2. Unscrew the nuts under the air chamber at the back edge (towards the back wall), one on each side (fig. 8). 3. The air chamber is fastened at the front to the side burn plates with the screws (fig. 9). These are loosened and the air chamber can then be lifted out from above. 1. In the case of top connection, the following should be done: • • Lift out the ash moulding (the log stopper). The air chamber is lifted out through the door opening with one hand, while at the same time flipping in and pulling out the one of the side burn plates. The air chamber may now be lowered diagonally and twisted out via the door opening. Assembly of a new air chamber Follow the same procedure in reverse order. Page 24 of the manual for servicing procedures. Stove expert replied: Please check that the internal baffle plate has not become distorted as this can cause smoke problems, at the same time check all seals to insure they still function. The weather can be a factor but a cowl may well overcome this problem. Stove expert replied: Have you got trees surrounding the property which have grown that could be caausing the problem. Might be worth getting the flue checked as this may need lining! Seems strange that it worked well inititially, very disappointing! 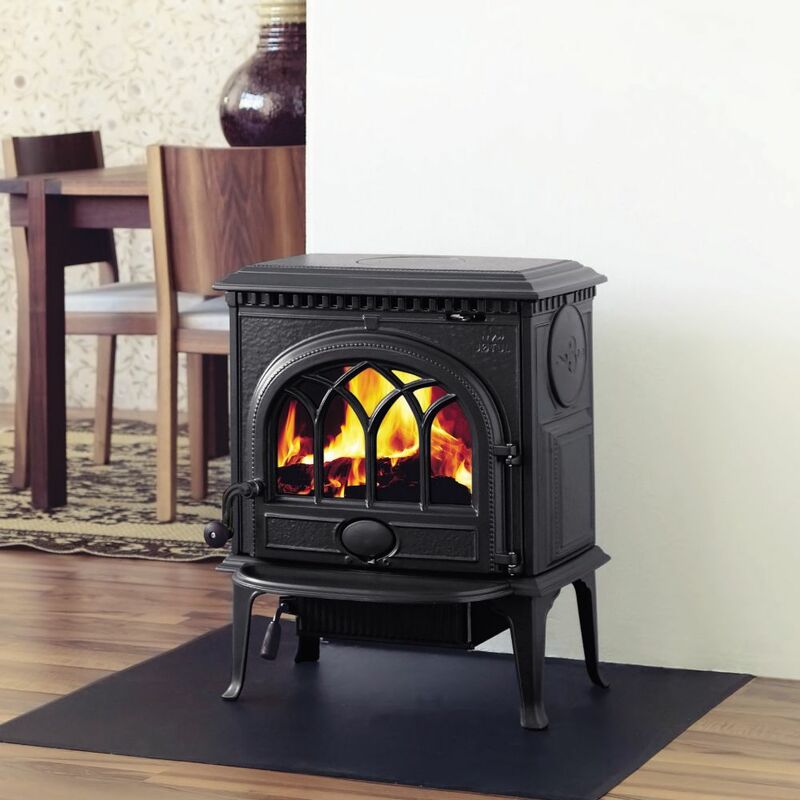 The Jotul 118 stove is a very traditionally shaped cubic stove. Because it is a long stove the 118 can take long logs.